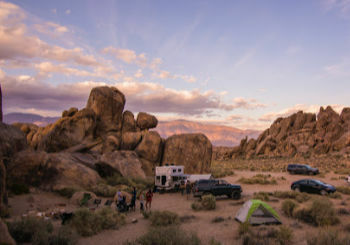 RV Mattresses: Are they all created equal? We can compromise on our clothes (ok, only a little) and shoes while moving into an RV but not the mattress. If you sleep well, your whole day goes happy, which in turn helps you achieve your goals. You wouldn’t like to wake up every morning sore in your back and feeling you could have slept that little bit longer, would you? 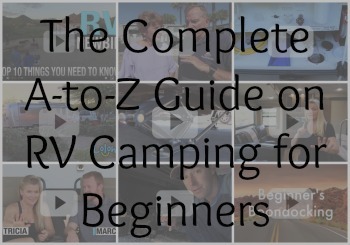 To wake up happy, you’ll have to find the best RV mattress, and we have the guide to help you out right here. Mattresses can cost you anywhere between $100 to $1,000 depending on its type and brand. When you go to a visit, you see you get to see different types of mattresses, but they are only variations for the five major types. You would have definitely seen an innerspring mattress in old movies. It has a lot of bounce because of the steel coils inside. This type of mattress is well-cushioned and has multiple foam levels that offer a luxurious feel to the user. Foam mattresses are most technologically advanced and offer an equally comfortable experience. The foam used is polyurethane, but it doesn’t contain any coils, which makes it more durable and safer to use. It takes the shape of the user and creates a cocoon-like environment to sleep. As the name suggests, a hybrid mattress is a combination between innerspring and foam mattress. It is a more sophisticated approach towards sleeping offers a more restful sleep. It is less expensive than a memory foam mattress but works in the same way. If you are low on budget, you know which one to pick. A latex mattress is similar to a foam mattress but a more durable option. It is often recommended to people with hip or back problems as it reduces pain in those body parts but preventing excessive movement. 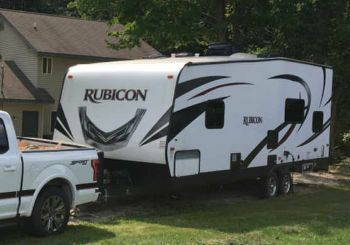 An adjustable air mattress is not a convenient choice for RV users because you will have to fill air every couple of days, depending on your use. However, it is an affordable option, which you can use when you have guests coming over. 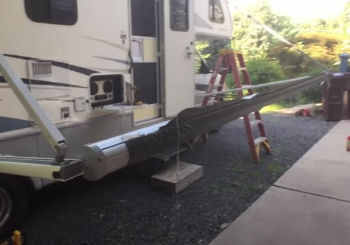 You can inflate the mattress to different sizes, but the pumps are typically loud and can easily annoy your RV neighbors. Don’t be an uninformed shopper and make a hasty choice. Mattresses are expensive and replacing one too soon can be a big financial burden. 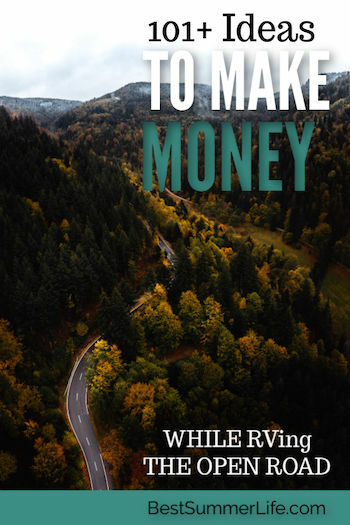 When you are just starting out, you’ll want to save where you can. Mattress companies offer anywhere between 10 to 25 years of warranty, so always choose the highest one in your budget. Most of them only offer a warranty on manufacturing defects including broken, sagged, or loose coil wires. The coverage reduces over time, so read the policy carefully. Never purchase a mattress before trying it. Visit your nearest home decor or furniture store and check out all the options they have. 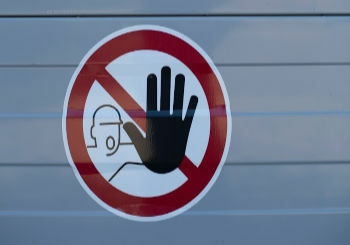 Go in with an open mind and don’t fall prey to sales gimmicks. The mattress industry uses the term comfort guarantees in place of return policy. It is anywhere between two weeks to four months. Some retailers charge a 15 percent restocking fee. Most of them don’t charge a pick-up fee, and if they do, you can bargain a price. If the store you visited is offering discounts, grab the opportunity. However, these discounts are only available during the holiday seasons. Keep an eye for new mattress company as they offer up to 50 to 70 percent discount, which is a great deal. If you have a small RV, settle for a queen bed and save some space for extra storage. However, the decision still lies with you. Brands offer a variety of sizes including twin, twin XL, queen, king, and California king. Some also do full/double, full XL, and short queen sizes. An ideal mattress should support your back well and not sink deep in heavier places. Hybrids and inner springs offer better support compared to latex and foam mattresses. If you sleep on your side, you will find a super soft mattress comfortable. Someone who sleeps on their back or stomach will fit a medium soft mattress more comfortable. A foam mattress absorbs body heat and increases the sleeping temperature. Latex mattresses keep you cool throughout the night. The remaining three variations are generally temperature neutral. 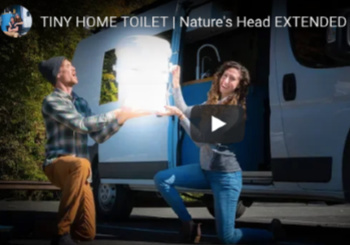 Other features you need to look out for include the ability to remove any unpleasant odor, provide edge support to avoid extreme sinking, and mattress weight. Airbed, innerspring, and foam mattresses are lighter compared to hybrid and latex mattresses. A super comfortable mattress, Zinus Conforming Green Tea Memory Foam is available in a variety of sizes and styles. The sizes include narrow twin, twin, twin XL, full, short queen, queen, king, and California king. It is available in 6”, 8”, 10”, and 12” styles and designed for a relaxing sleep. A 6” Zinus mattress is made of multiple layers including 1” memory foam and 5” of airflow high-density base support foam. As the size increases, more layers are added. For example, the 12” mattress has a 2” Comfort Foam. All foams used are CertiPUR, which is a US certification for performance and durability. The mattress is infused with green tea extract and natural castor oil, which minimizes bacteria and odor. Zinus ships the mattress in a box completely compressed and expands out over the next 72 hours. You will receive ten years of limited warranty on this product and a 100-night trial return policy. 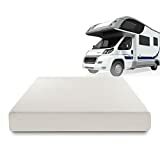 The Zinus Deluxe Memory Foam mattress is designed specifically for RV homes. It is eights tall in height and comes in short queen size. 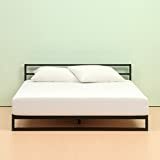 The mattress is divided into several sections including 2” of memory foam, 2” of pressure relieving comfort foam, and 4” of high-density base support foam. It is a medium soft mattress, which is perfect for someone who sleeps on their back or stomach. It contains a special type of memory foam called BioFoam, which uses natural plant oil instead of petroleum to maintain freshness. This feature also makes it an eco-friendly option. Also, BioFoam has CertiPUR certification for performance, content, and durability. When you sleep on the mattress, it takes the natural shape of your body and distributes the weight equally. It won’t sink deep around heavy body parts like your hip and offers a superior sleeping experience. Zinus offers a 100-night trial return policy and ten years of limited warranty of this product. One of the most highly recommended for RV bedrooms, the LINENSPA Hybrid Mattress is available in 8” and 10” styles. It comes with a knit fabric mattress cover, which offers a touch of luxury and elegance to the product. The 8” version comes with a 1.5” layer of comfort foam under the cover, while the 10” style has 2” inches of comfort form. Both of the layers together offers a comfortable experience and minimize pressure around heavy body parts. It is available in a variety of sizes including twin, twin XL, full, queen, king, and California king. Since it is a hybrid mattress, it has steel coils that contribute to its fluffiness. 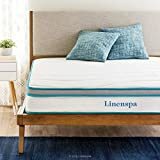 LinenSpa Hybrid Mattress uses tempered coils that distribute weight equally. You will receive a 10-years manufacturer’s warranty on this affordable product. It is delivered in a box vacuumed-packed, so you will have no troubles arranging it on your RV bed. 2.5" CoolBreeze GEL 4lb High Density Open Cell Memory Foam: Sleep Cool Technology Foam! 120 day trial! Warranty: 20 years Limited Warranty. 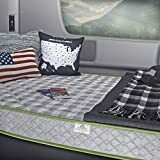 DynastyMattress 10GEL CoolBreeze Gel Memory Foam Mattress is available in a variety of sizes from twin to king but has two sizes made specifically for RV homes. These include RV Queen and Short King RV. They are shorter in length compared to their original counterparts but have the same width. A 6’ tall person can comfortably sleep on them. It is 10” in thickness and certified according to CertiPUR US standards. Coming to the features, this particular mattress by Dynasty Mattress has a 2.5” CoolBreeze GEL 4 lb High-Density Open Cell Memory Foam, which is equipped with a special sleep technology that ensures a relaxing sleep throughout the night. It also has a 2” + 2” of Cool Airflow foam that controls the bed temperature and 3.5” of the support base. Together, all these four layers, create a high-quality product offered at an affordable price. It comes with an elegant white cover with brown suede trimmings, which is washable and fireproof. MotorHome InnerSpace Travel Comfort is a product designed specifically for RV homes. The mattress is shorter than the regular one but has the same width. It is a 5.5” mattress entirely made of high-density polyurethane foam. The mattress comes vacuum packed for better handling and only takes 30 minutes to regain 90 percent of its size. In the next 48 hours, the product regains its full size. You will get 15 years of manufacturer warranty and 30 nights trial return policy. This Deluxe Memory Foam is our favorite pick from the list. CertiPUR certifies it according to US standards for foam content, performance, and durability. It comes with a 10-years manufacturer warranty and 100 nights trial return policy. So there really isn’t any risk to giving it a try for a few nights?